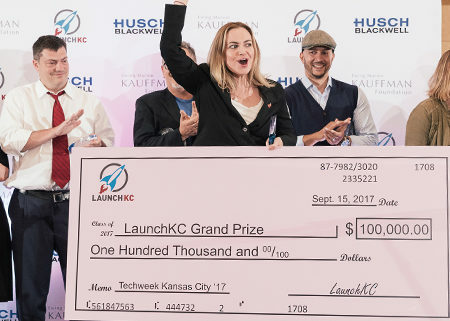 Grant winners from the 2017 LaunchKC competition celebrated their selections at the close of the LaunchKC Pitch Day last September. This year’s competition marks the fourth annual entrepreneurial showdown in Downtown KC. 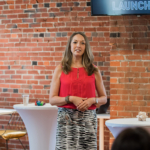 LaunchKC today revealed 20 finalists for its fourth annual grants competition for tech entrepreneurs. 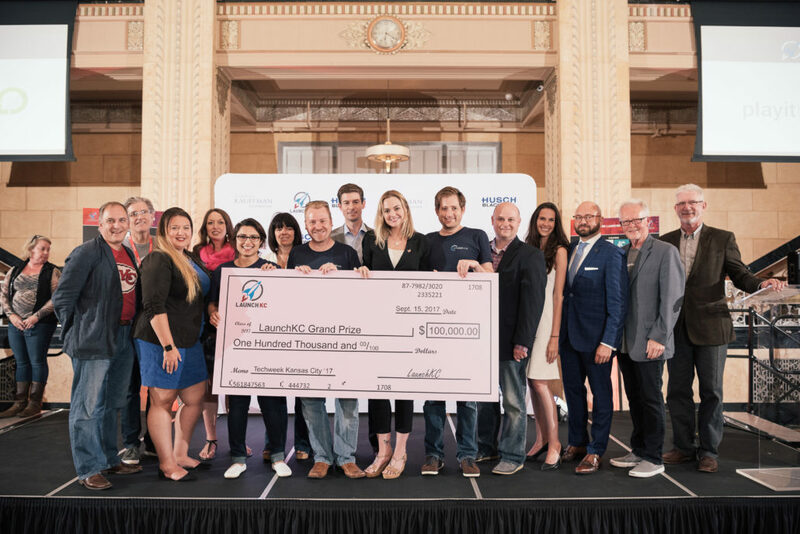 LaunchKC attracts hundreds of tech entrepreneurs each year – including a 32 percent increase and a near-record 586 applicants this year – to compete for cash grants and an opportunity to build and grow their new businesses in Kansas City. 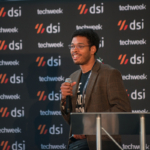 The 20 entrepreneurs will be in Kansas City in five weeks to compete for non-dilutive grants on Friday, Oct. 12, during LaunchKC Pitch Day on the final day of the Techweek Kansas City conference at Union Station. This year’s finalists include 12 from the Kansas City metropolitan area; another seven from six different U.S. states; and one international business from Israel. LaunchKC is an initiative of the Downtown Council of Kansas City and the Economic Development Corporation. Today’s announcement marks the culmination of weeks of application reviews and scoring by a panel of more than 35 business and financial leaders, who volunteered their time to thoughtfully narrow the field from 586 applicants to the 20 finalists announced today. In addition to cash grants, finalists are competing for a network of business startup support, including industry-specific mentor teams for each grant recipient and opportunities to meet and learn from industry and entrepreneurial leaders in and around Kansas City – all designed to elevate their efforts to build high-growth, tech sector businesses and jobs in Downtown Kansas City. 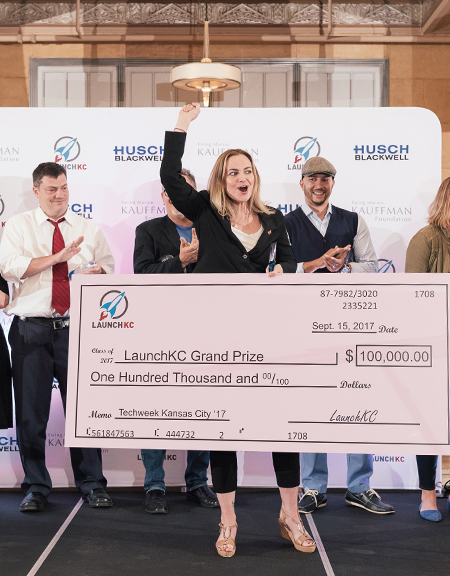 “LaunchKC is built to be an economic game-changer in Kansas City by supporting start-up businesses, creating jobs, attracting talent, unlocking value and engaging follow-on investors,” Hurd said. “We are continually searching for the best and brightest startups or early stage tech businesses,” Solomon said. “We want to help these entrepreneurs make their business dreams come true in Kansas City. Ewing Marion Kauffman Foundation; Missouri Small Business & Technology Development Center; Regnier Institute for Innovation and Entrepreneurships; and the UMKC Bloch School of Business.